Easy Moving Labor of Kansas City offers professional local moving help to provide loading and unloading services of your rental trucks, pod style containers, trailers and overseas containers. 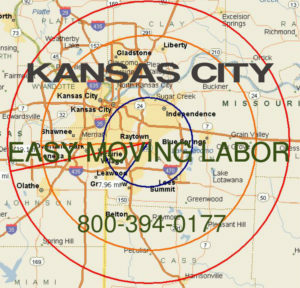 We provide moving labor throughout the Kansas City metro area that includes Gladstone, Independence and Shawnee. Our crews are well trained and can assist with all of your moving needs. We have done hundreds of jobs in the immediate Kansas City area. 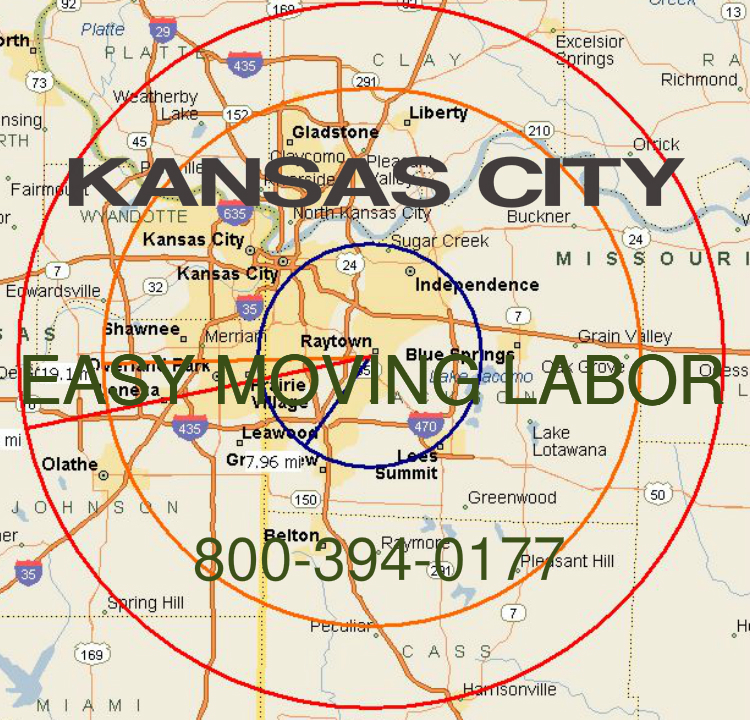 Countless moving labor jobs in Overland Park and the surrounding areas have been completed. We travel beyond the area shown in the circle, but there is a slightly higher fee. Call us today.